It never fails that thoughts of the Christmas season enter my mind about now. 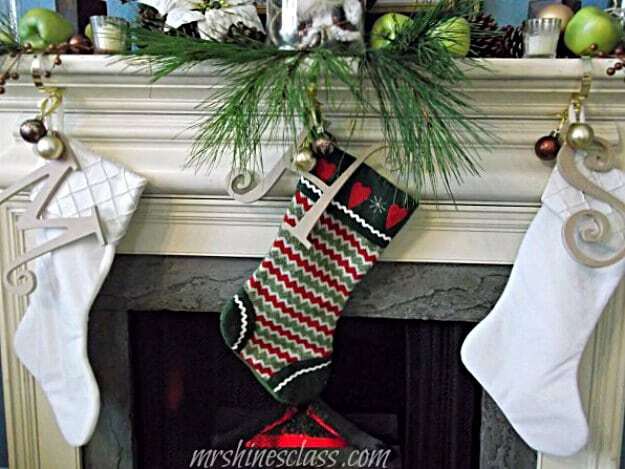 I long for the cozy, intimate settings of presents under the tree, nutcracker displays and garland covered mantels. We have several months until we start bringing down the decorations, but it never hurts to get a jump-start on things. I guess that’s how the idea of Christmas in July came about in the first place. Now I’m curious…I’ll have to look it up. I was going to share ideas for handmade ornaments with you. Then, I thought about showing you how to make luminaries from jars, tin cans and paper sacks. I also considered offering tips on decorating with natural elements, and saving money while you’re at it. But instead, I’m going to share a couple of ideas for charitable gifts. ~The first idea, I read in a magazine several years ago. Draw names amongst family or friends. However, you buy a child’s toy or game that it is some way related to your friend or family member’s hobbies, interests or occupation. 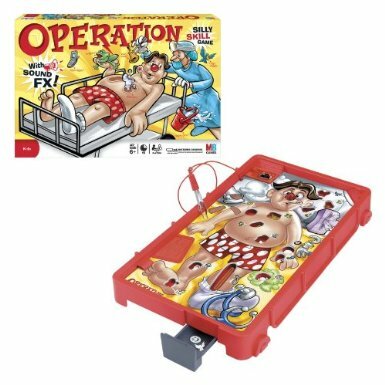 For example, the game Operation for a surgeon, a bike for a cyclist, or an easy bake oven for a baker. All of the gifts are then donated to an organization that provides for children in need, such as Toys for Tots. ~This next idea is as simple as it gets, but it’s certainly in the spirit of giving. Christmas Jars. The idea is that you collect your change in a jar all year long….most of us do that anyway so we’re half way there. Then before Christmas, take your jar to a family in need, ring the door bell and run away. They’ll be greeted by a jar of money! You can read more about the tradition in this novel by Jason Wright. Also in the spirit of giving, some of my blogger friends and I want to give one of our readers $100 to Target or Amazon to get started on your holiday shopping! And, tomorrow join Karen at Dogs Don’t Eat Pizza for more Christmas in July. Such great ideas Sharon and a good reminder to think ahead as to how we can help others during the holidays too! I love the money jar idea. So glad you are part of this series with us! Sharon, I love money jar, too, and that you helped us focus on the joy of giving! Have a wonderful day!! The idea of giving is so much more peaceful to me than gearing up for all of the holiday fuss…not that I don’t enjoy it, but it can be overwhelming. I’m trying to simplify and really enjoy the season. Thank you for having me! I’m excited about the money jar idea and can’t wait to share it with my husband and daughter. The money jar idea is priceless and how fun would it be to deliver it and run away! Hi! I love Christmas! Thanks for hosting, and I would love to win! What a great idea! I’m already preparing for the Christmas gifts…it’s still soon but I don’t want to spend a lot on Christmas this year. I would use the gift card to shop for my 6 kiddos’ Christmas gifts! I would take the gift card and take advantage of the summer sales and stock up for Xmas. Wouldn’t that be great?…then the financial burden of Christmas doesn’t have to be so large. I don’t want to spend a lot either. A gift card would really help offset the costs, wouldn’t it? That’s what the spirit of Christmas is all about … Great post! Thank you, Karen. Your kind words mean a lot to me. What a fun and very sweet post, Mrs. 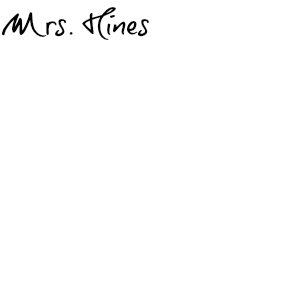 Hines!!! 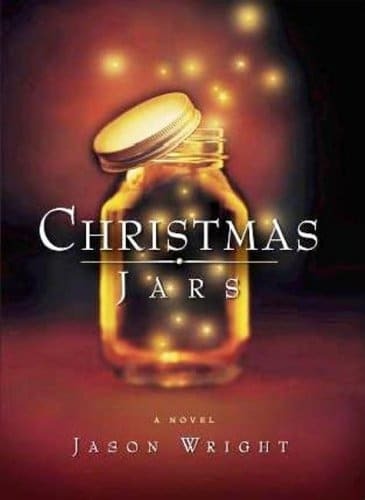 I love the Christmas Jar idea! We are really trimming back on family gift giving this year. I am buying goats and sheep and cows and chickens and bunnies through Hope International in my family member’s names. LOVE the idea of sharing with those who need the help over the holidays! We’re trimming back on family gifts, too. What a great idea to buy the animals in your family member’s names. I’ll have to look into that. I love this idea. Most of us in this world are lucky enough to have many possessions that we truly don’t NEED. Giving back is a way of spreading the good cheer! Thanks for the post. I always say that I am going to cut back, but then get caught up in all the business. Thanks for the reminder! I love imagining the Gift Family and their surprise. Spreading good cheer…I like the way you put that, Sheila. It is hot, but I’ll take it. I enjoy the heat. I would buy some simple sweet treasures for my children. Love the money jar idea. They will be surprised and excited to receive and I will excited to watch them when they open the door. I call that a win-win. Thank you so much for the idea!!! Simple treasures are the best! And I agree…the money jar is a win-win in my book too. I have been in the Christmas Spirit all day … I was watching the Hallmark channel and that is all they are playing this weekend! Christmas Jars are a great idea!!! I don’t start thinking about Christmas in July but it’s so hot I do think about snow. Then I slap myself! I wish I got the Hallmark Channel…I’d enjoy watching some holiday movies. I love Christmas in July!! If I got this giftcard I would use it towards my little brother. I recently moved away for college (from Florida to South Dakota!) and my brother and I are super close. I would love to get him something really special this year to show how much I miss and care about him! That is so sweet, Erin. It’s great that you and your little brother are so close. I have a little brother, too. He’s 41 and I’m about to be 45. No matter how old y’all get, he’ll always be your “little” brother.